Next international Night of Glory 14th is scheduled for September 16th and so many international fights are on the fight card. A team of eight Brazilian Champions comes to Vienna, to challenge best Europeans. Daniel SILVA challenge home town fighter Florian BARTL for the PRO-AM World title Lightheavyweight – 81Kg / 178 lbs in K-1 rules. Brazilian Lady Thaynara LUSTOSA challenge three times World champion Deshire KURTAJ for the WKF World title in Featherweight – 54Kg / 119 lbs. 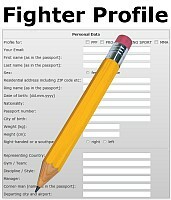 Next main fight is for the PPF – Pro Point Fighting European title fight + 91 Kg/200 lbs. Austrian Heavyweight Champion Harald KRETSCHMER vs. German World Champion Andre MERGENER. Next main fight in Light Welterweight – 63,5 Kg / 138 lbs for PPF European title with Italian Francesco TURCO vs. Austrian Stefan ZELLER. 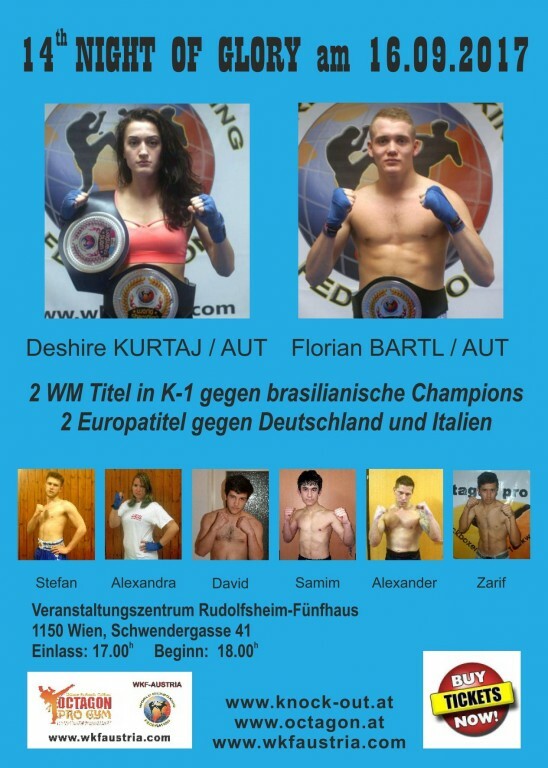 More international fights with Champions from Germany, Czech. Poland, Syria, Afghanistan, Italy and of course Austria are on the fight card. This entry was posted on Monday, August 21st, 2017 at 7:05 am	and is filed under Uncategorized. You can follow any responses to this entry through the RSS 2.0 feed. Both comments and pings are currently closed.